Walt Disney World Implements Package Handling Fees - DVCNews.com - The essential Disney Vacation Club resource! 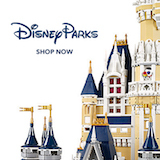 Having goods shipped from Amazon to your Walt Disney World resort room might seem like an economical way to save but you may have to add a few more dollars to the budget next time. Back in 2009, Disney previously implemented package handling fees for convention resorts. Amazon's expansion into delivery of grocery and other retail products has undoubtedly fueled this move. Resort package volumes continue to rise, along with the accompanying handling, storage and room delivery costs. These fees reportedly do not apply to personal items handled by resort bell services. Among the exemptions are grocery deliveries from services like WeGoShop and Amazon Prime Now, Owner's Lockers, motorized scooters and stroller rentals. Packages shipped to resorts using major freight carriers like UPS, FedEx and US Postal Service are subject to the storage and handling fees.